I started off with 3 coats plus top coat of CrowsToes Nail Color Orange-blooded on my thumb and pinky. 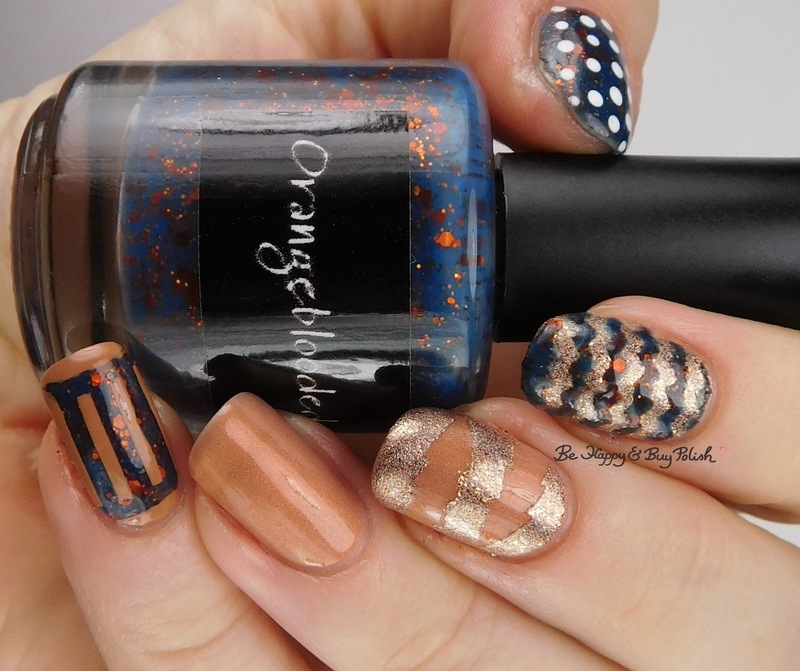 This is a navy blue jelly polish with glitters of orange and a deeper orange. On my pointer finger, I used 3 coats plus top coat of Polished For Days Son of a Nutcracker. 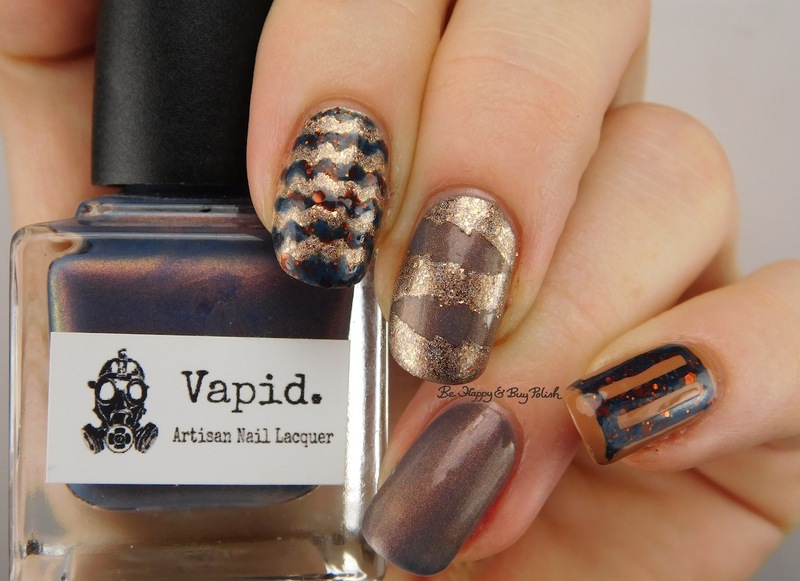 This is a gorgeous holographic gold and silver flakie polish. I also used it over Sweaters ‘N’ Denim on my middle finger. On my middle and ring fingers, I used 3 coats plus top coat of Vapid Lacquer Sweaters ‘N’ Denim, which is a thermal polish that shifts from peachy when warm to denim blue when cold. 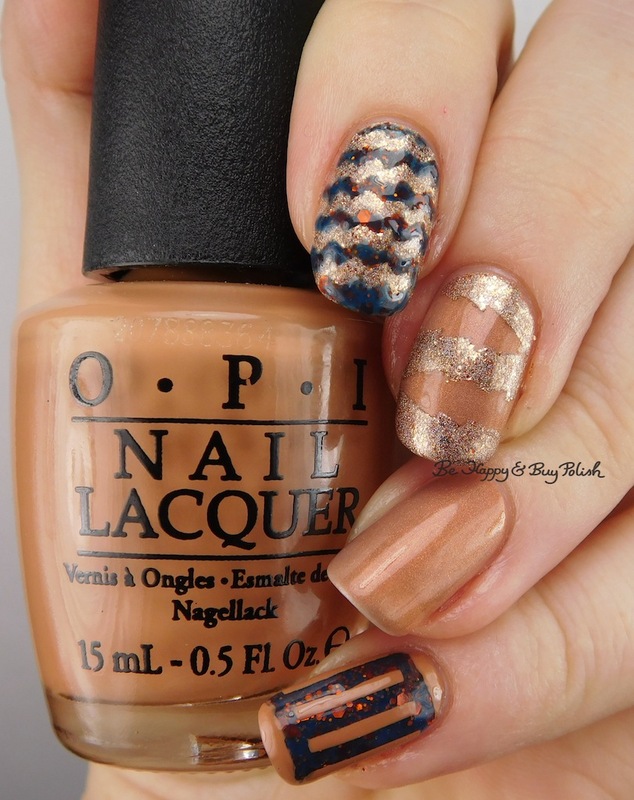 I also using OPI Going My Way or Norway over Orange-blooded on my pinky. I really had no plan in mind when I created this manicure and though I ended up liking it overall, I think I should have not included the OPI over the CrowsToes. Let me know what you would have done differently! These nails look great! I like the different designs on each nail too.